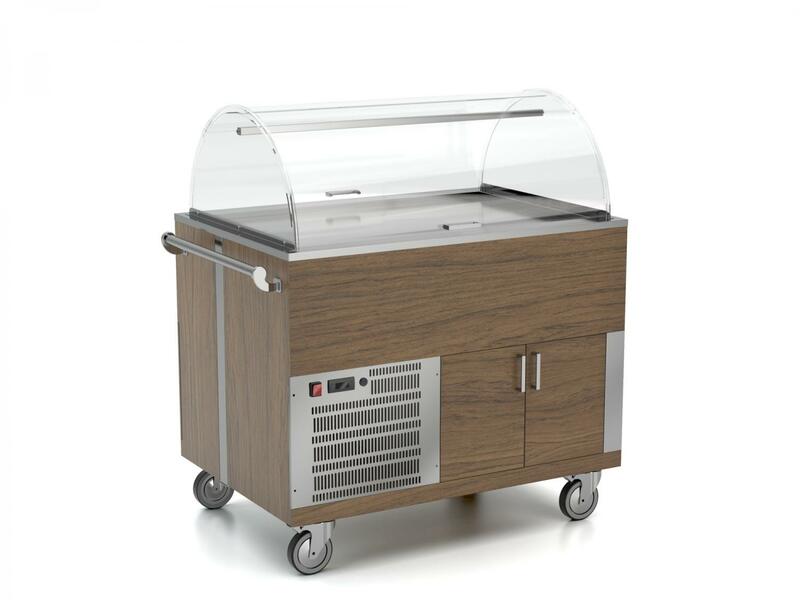 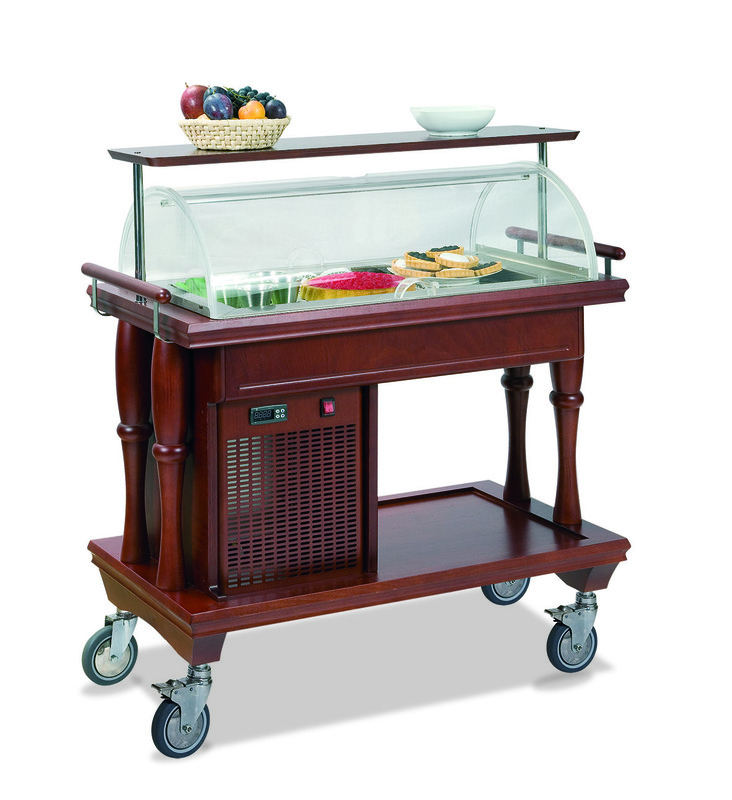 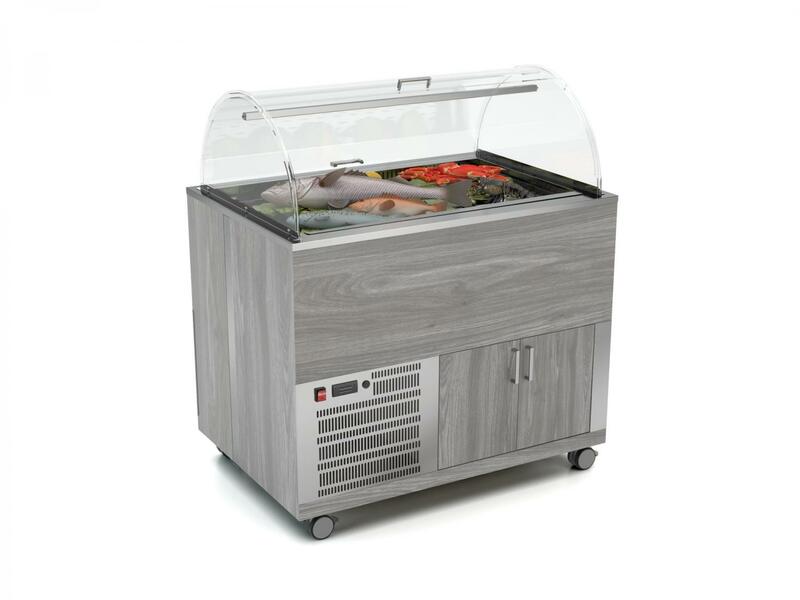 Buffet trolley with fan-assisted refrigeration with laminated wood structure and hemispherical double opening dome. 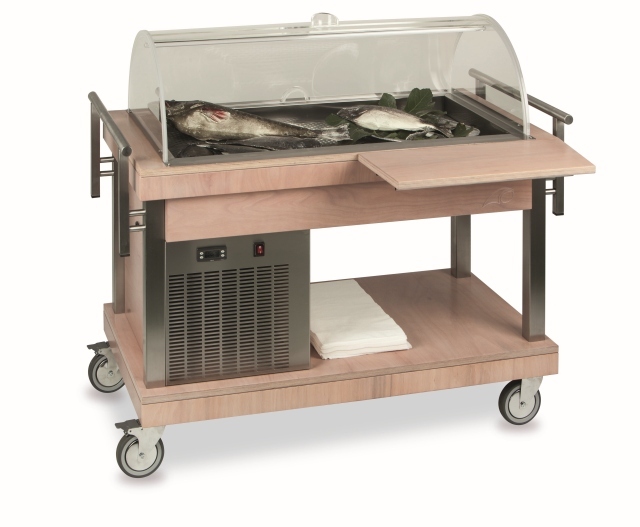 Refrigerated contemporary solid wood and stainless steel service trolleys. 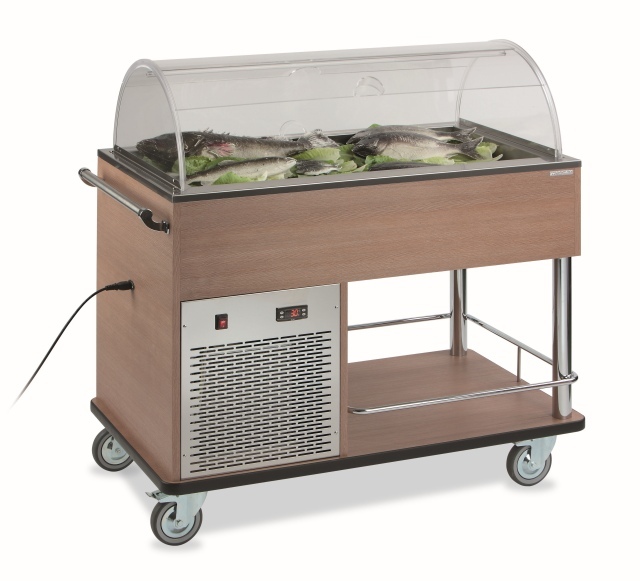 Solid wood trolleys with a stylish and luxurious design with static refrigeration.